Over this past break, I finished one of the better business books I’ve read; The Challenge Culture: Why Most Successful Companies Run on Pushback by Nigel Travis. Travis has been a CEO for Dunkin Donuts, as well as a senior management figure for Papa John’s, Blockbuster, and Baskin-Robbins, so it’s safe to say he knows a thing or two about leadership. Back when Dr. Joseph was playing with the idea of having a monthly book club, this would have been a good choice to have everybody read. Travis believes, and his career supports his suppositions, organizations thrive in a culture where people are not afraid to challenge leadership. Now we are not talking about a culture of confrontation where attacks are more of a personal nature, but rather one where people feel empowered to use their experience and knowledge to question policy in a way that makes policy stronger. This dovetails neatly into my own personal leadership beliefs. Imagine how different things might have turned out for MNPS Superintendent Dr. Joseph if he had someone around him who pushed him to find the right answer, instead of the easy answer. When former Joseph confident, and MNPS administer Mo Carassco was here, we had many conversations about Joseph’s need to develop what Carassco referred to as the “left brain” – the advisors that would push a leader to go deeper. Something that was never developed by Joseph during his tenure at MNPS. To be fair, I’m not sure that he was ever given the opportunity to flesh out an inclusive leadership style. Much has been made of his historical place as the first African-American Superintendent of Metro Nashville Public Schools. With the appointment came pressure to be omnipresent. The celebration brought expectations that led to the creation and support of a historical figure, which in turn caused us to lose sight of the man. An older, more experienced educator may have been better able to manage expectations and execution a little better. They might have been more secure in who they were and been able to shoulder the historical connotations while recognizing the areas of expertise they lacked. They may have been better equipped to build a team that felt confident in challenging the edicts from the director in a manner that made policy stronger. They may have understood better that sometimes a leader has to bury their ego and reach out to opponents in a manner that allows the organization to move forward and succeed. That’s not who Dr. Joseph was or is. There is nothing in his resume that offers evidence that he was prepared to lead a district the size of Nashville. His depth of experience consists of being the Superintendent for a district that is smaller than Nashville’s neighbor, Maury County. As director, he oversaw 6 schools. He also left before his contract expired. He left under the guise of family obligations when a little digging reveals it was that and so much more including the inability to manage the district’s school budget. Board member Will Pinkston likes us to focus on the time Joseph spent at Montgomery County Schools when the reality is that the majority of Joseph’s leadership experience comes from Prince George County Schools. Montgomery County Schools may be recognized as one of the highest performing districts in the country, but – with apologies to the fine people of PG – Prince George County is widely recognized as one of the most corrupt counties in the country. In hindsight, none of what has transpired should come as a surprise to anyone. To use a sports metaphor, Joseph is like that QB who sat on the bench at Alabama and got drafted by the Canadian Football League where he had limited success but failed to complete the season. Now the Cleveland Browns have picked him up, with expectations that he’ll lead them to the Super Bowl. Expectations that are not backed by any evidence and are more focused on symbolism. Equity doesn’t come unless all members of every race have the opportunity to fail without casting a pall on their individual race. It’s been three years since Dr. Joseph arrived in Nashville and at this point, it’s pretty clear that he does not possess the leadership skills needed to take the district to the next level. We can manufacture all kinds of evaluations, and pseudo-goals, and comparisons to the past, but in our heart of hearts – if we are honest with ourselves – we know that MNPS today is not better today than it was three years ago, not is its trajectory heading in the right direction. But that is not the failing of a black man and any who view it as such are wrong. What it is, is an indictment that we expected too much from a man of limited experience based on our cultural needs; one whom we didn’t offer the support needed for him to overcome his deficiencies. It could have been a Hispanic man, a White man, or even a woman, the outcome would have been the same based on the level of their experience and our expectations of a savior. We can’t separate race from the conversation, but we can’t make it the sole focus either. Merely securing the position isn’t enough, how we react after the fact is just as precedent setting. Think for a minute if MNPS had a challenge culture. Board meetings would be filled with questions that would probe at finding the weakness in policy before implemented. Witnessing a give and take where nobody appeared to be all-knowing but rather everyone appeared committed to a common good would have built trust. Conversations filled with inquiry would have given all a humanness, and compassion that is lacking from our current conversation. In his aforementioned book, Travis talks about what he calls “Coffee Chats”. He holds them throughout the year, sometimes they consist of three hundred people and at others 20. They are held informally sans agenda, norms, or even projected outcomes. Everybody has a cup of coffee and collectively they choose a conversation topic. Often it turns out to be an unexpected subject. 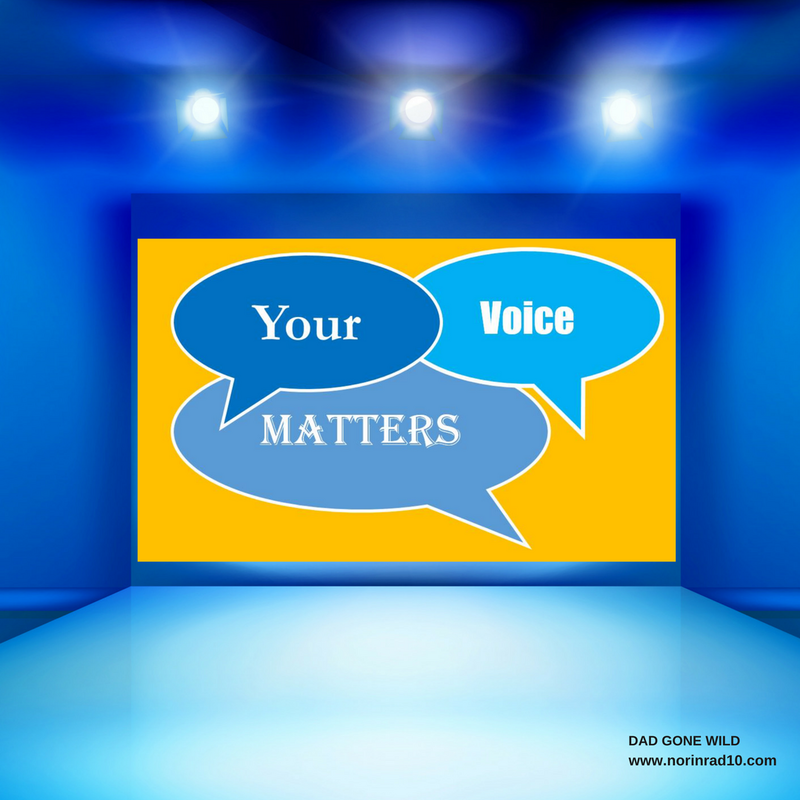 Travis has found that rarely do participants need to be reminded of decorum, they are grateful for the opportunity to be heard and as a result, they self-regulate when it comes to complaints. The meetings aren’t designed to solve problems, though often the seeds for future solutions are germinated in these meetings. At the very least, the company’s culture is reinforced, a culture where all voices are recognized and valued. Compare those meetings to the meetings that have been held with leadership across the district over the past 3 years. The district’s “Listen and Learns” were heavily scripted affairs that were more focused on justifying district interests than they were in revealing what was happening in classrooms. By the time norms, expectations, and the first question was posed, people’s interest in an honest and forthright exchange had waned. As a result, little useful data was produced from these meetings, and even less goodwill was developed. Nigel Travis also discusses his theories on corporate communication. He’s a strong proponent for over communicating. Paraphrasing his words, if you are not telling your story someone else is, and it is not going to be one that is sympathetic to your goals. His companies don’t just communicate about policies, they communicate about how they are communicating. They tell you the information and then tell you where else you can find it. A marked difference from MNPS. In the recent past, the administration has focused more on how people discovered an issue than they did on the actual issue. I’ve never understood why MNPS has never just accepted the fact that everyone in Nashville has two friends, and as such everybody ends up knowing everything so just be transparent. Conduct business as if everything is all in the open and don’t waste time trying to keep secrets. It’s really quite simple but requires a certain degree of comfort with who you are, what you are trying to do and that your agenda aligns with the common good. Travis acknowledges that a “challenge culture” takes work to establish. The ability to ask the right question’s is not naturally in people’s tool kit and for some it the antithesis of who they are. People have to learn to focus on policy, not personalities, They have to be trained to ask probing open questions that lead to deeper understanding. But once there, I believe its an investment that pays high dividends and one that unlocks the power of individuals to make a difference. It’s my hope that as things wind up with this administration, somebody is taking notes so that we don’t turn around and make the same mistakes again. I pray that at the very least, a mass realization has sunk in that this work is all about relationships. Nobody can lead the district without the development of strong relationships. It’s amazing, we’ll line-up expert after expert to talk about the value of social-emotional learning. We’ll craft discipline policies rooted in SEL tenets. We’ll site research that shows the benefits of a strong relationship between a teacher and student. Yet leadership tries to run a district without forging relationships forged in respect, trust, and a common purpose. Without building new relationships and strengthening existing ones, true success will never be achieved. That is not just an opinion either, that’s a fact. She’s not wrong. It should be noted that Pinkston as chair of the Director’s Evaluation Committee has yet to complete and finalize a single evaluation of Joseph. Pinkston also has a long history – going back to former board chair Cheryl Mays trying to get him under control – of hijacking the board’s agenda in order to pursue his own. He does this while being an intellectual coward and trafficking in revisionist history. For example, New Vision Academy was recently shut down with little notice to parents or fellow board members. Pinkston took no exception to the present circumstances though he was quite vocal under similar circumstances while former director Jesse Register was at the helm. This is just one example, of many that are readily available. Pinkston apparently now prefers a process that utilizes individual meetings between the director and board members to deliver evaluations. 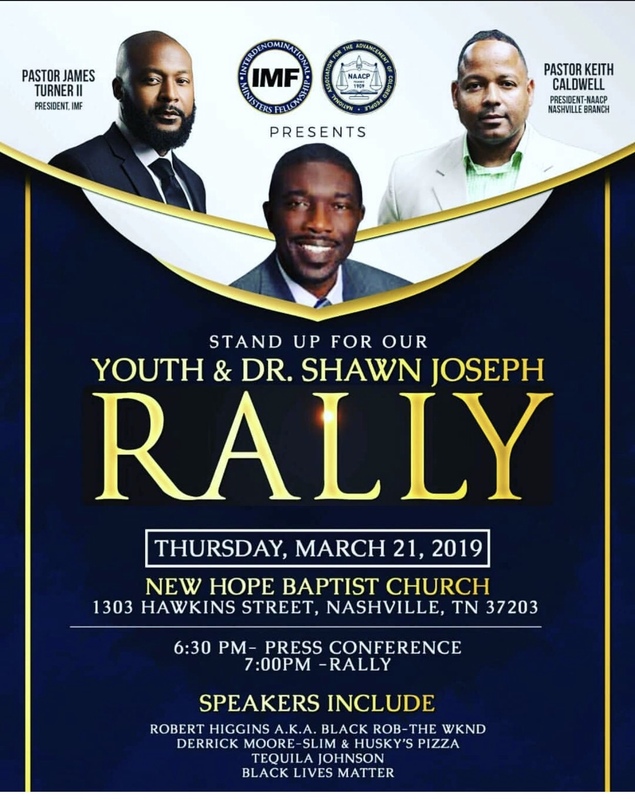 It’s MNPS budget season again, which means it’s time for another rally for Dr. Joseph. We did this last year and apparently, we are going to do it again this year. It’s not a rally for teachers, nor their students or their families. It’s not for the budget, or even increasing the state BEP. No, it’s a rally for Dr. J. In keeping with that kid-centric agenda, 92Q continued their never-ending attacks on new board member Fran Bush. Same old rhetoric. She’s disrespectful and is undercutting a male African-American in a position of leadership. It’s ridiculous and shameful. In her brief tenure, Bush has shown a singular focus on students and teachers. You may not like her tone, but to question her intent speaks to deeper issues. I grew up a punk rocker. Leather jacket and Chuck Taylors were my regular attire. Until I started noticing that those had become a de facto uniform. My bona fides were routinely questioned if I failed to wear the proper uniform and espouse the expected manifests. In effect, I was expected to trade one uniform for another. These days my Chuck Taylors are in the closet and I seldom wear my leather jacket, I sometimes even listen to Lep Zeppelin and don’t listen to as much Clash as I once did. But that doesn’t mean I’m any less punk rock then I ever was. In fact, I’d argue that I’m even more punk rock than ever. Being Punk Rock means following your own truth and not subjugating it just because it causes discomfort. It means being true to who you are and not succumb to someone else’s perception of who you should be. It means being willing to challenge authority in whatever form it may come, state or peers. Thank you Fran Bush for also refusing to trade one uniform for another and being willing to push for the truth despite the intense discomfort it can bring at times. That’s pretty Punk Rock of you and the model our kids deserve. There are a couple of important candidates running for Council in the next election. Teacher Tom Cash is running for a seat in District 18 where current CM Burkley Allen is termed out. Cheryl Mays in District 32, Cheryl Mays is running to succeed Jacobia Dowell who is also termed out. I don’t agree with either of these two on every issue but I can tell you that you’ll find few people who are more dedicated, hard-working, and possess more integrity than these two. The council would be a better body with them on it. That I say with confidence. Two bills are up for a vote this week that comprise a clear and present danger to public education in Tennessee. These two bills would eviscerate local control of schools in Tennessee and hijack local taxpayer dollars to drain the coffers of school districts across the state. VOUCHERS: First, HB 939/SB 795 would create a new form of vouchers in Tennessee called Education Savings Accounts (ESAs). ESAs have been described as “vouchers on steroids.” This proposed legislation is targeted not toward “children trapped in failing schools,” but toward wealthier families, with virtually no regulation or public accountability. Vouchers would be available in any district containing at least three schools in the bottom 10% of schools in the state, but vouchers would be made available to ALL students in that district, including those enrolled in high-performing schools and private schools. Families making up to around $100,000 per year would be eligible for the voucher, and private schools would not be required to accept the voucher as payment in full. This means that more affluent families with children already enrolled in private schools could use the voucher to help offset their current payments for private school. It will also allow students to cross county lines with their vouchers, which could wreak havoc on many rural school districts. Local school districts will have to pay for the bulk of these vouchers. (For example, in Davidson County, the state would pay only about $3,600 toward the cost of the voucher, while Davidson County would be required to pay about $8,100 per voucher.) On top of this, the state would withhold a 6% management fee for the voucher program. The governor has claimed that a limited amount of funding will be available to school districts to help offset the cost of the vouchers for three years, but this money could be revoked at any time- and worse, vouchers will create ongoing recurring costs that school districts will be unable to cover for an indefinite period of time. Once the door to vouchers has been opened, it cannot be shut. Under this legislation, vouchers would become an entitlement for upper middle class private school parents and home school parents. CHARTER SCHOOLS: Second, HB 940/ SB 796 would remove local control of schools by creating a new government bureaucracy in the form of an appointed nine-member charter school authorizing commission, to be known as the Tennessee Public Charter School Commission. The new Commission will be allowed to place charter schools all over the state without local approval, and local school districts will then be required to pay for the new unwanted schools. This would create uncovered fixed costs in school district budgets that would drain funding from local neighborhood schools. The Commission would likely be comprised of all pro-charter school appointees, including lobbyists for the charter industry and those already serving on charter school boards, which would create an obvious conflict of interest. These two bills are being driven by out-of-state special interests seeking to profit from Tennessee’s most vulnerable children. You can help by contacting the legislators who will vote on the bills to tell them that you support local control of schools and that you would like to see investment in our existing schools! A quick look at results from this week’s polls. The first question asked if you felt Dr. Joseph deserved a buy out if the board does not extend his contract next week. Overwhelmingly you said, “Not under any circumstances.” At 41% that sends a pretty clear message. Here are the write-in votes. Have plenty of cause to fire for inadequate job performance. Get him out. Now. pay him, just get him out!! Can they fire him now? Not if there are reasons to fire. He shouldn’t walk with more $ if liable. Question two asked if you felt the TFA contract should be renewed. That also was a “no”. The two top answers were, “Not in this lifetime” and “Let’s take care of our regular teachers first.” Amen. I’m going. Hope is not a dog and pony show. That’s a wrap. I hope everybody has a great break. Make sure you check out the Dad Gone Wild Facebook page where we try to accentuate the positive. If you’ve got something you’d like me to highlight, send it on and I’ll do the best I can. Send things to Norinrad10@yahoo.com. Thanks for your support if you feel so inclined, please head over to Patreon and help a brother out. I guess Pinko doesn’t think he has the votes.